Fierce fighting continues in the Syrian city of Aleppo, where government troops and the rebel army have been battling for more than a week. Pro-Assad forces claims they have managed to recapture several areas, while rebels deny the reports. 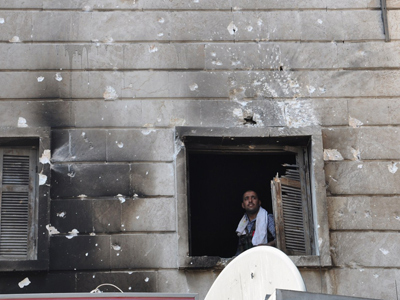 Tuesday brought little relief to Syria’s second-largest city. State news outlets reported the elimination of several rebel bases and the seizing of weapons caches. 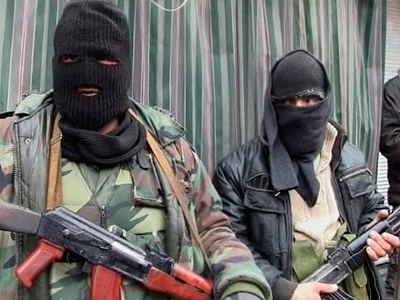 According to Syria TV, the militants detained included hired guns from Yemen, Pakistan and Russia’s Chechnya. This adds to the earlier capture of mercenaries from Libya, Tunisia and Egypt. Pro-Assad troops have gained control of the Salaheddine district in Aleppo’s southwest, as well as the Sakhur and al-Sukkari neighborhoods. 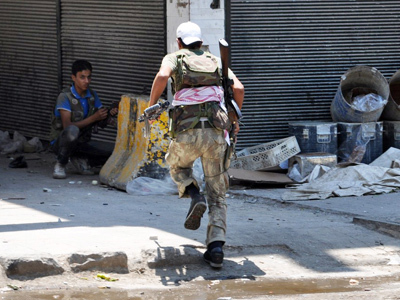 Militants are being forced out of other districts, the Al-Watan daily newspaper reports. The FSA claimed they seized seven tanks from the pro-Assad forces. They also claimed victory in the northern suburb of Anadan, which would mean a supply route from Turkey to Aleppo is now controlled by opposition forces. Military sources in Damascus could not confirm the seizure of Anadan by FSA fighters. 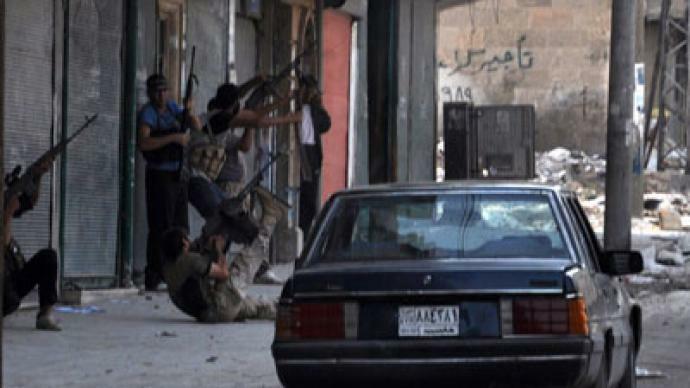 The British-based Syrian Observatory for Human Rights reported that rebels seized two police stations. Around 40 policemen and officers, as well as one general, were said to have been killed in fighting that lasted for hours. According to the rebels, government forces have withdrawn from the town of al-Bab. The opposition claims that this is the army's last urban base in the region, outside of Aleppo. At the same time, a source in Aleppo told the RIA Novosti news agency that the rebels are suffering heavy losses. “The fighters of the Free Syrian Army are surrounded by the Syrian forces who continue to strike them,” the source told RIA Novosti in a telephone call. In the meantime, Turkish Prime Minister Recep Tayyip Erdogan said in a televised address that his country would not remain indifferent to developments in Syria that could affect Turkey's national security. The statement came a day after reports that the Turkish military had asked the country’s meteorology department to include Syria in a weather forecast system specifically designed to assist the army guide missile strikes. Last week, Erdogan said Turkey would not hesitate to take action against Kurdish rebels in northern Syria. The statement came amidst reports of five cities along the Turkish-Syrian border being seized by Kurdish militants linked to the Kurdistan Workers’ Party (PKK), which is considered to be a terrorist organization by Turkey, the US, the EU and NATO. As the fighting rages on, with reports of artillery and mortars being used in the commercial hub, the streams of refugees fleeing Aleppo continue to intensify. The UN reports that some 200,000 people have left the city since the fighting began, fleeing to the neighboring provinces of Idlib and Latakia. Many are attempting to flee Syria, now in the seventeenth month of violent uprisings against the regime of Bashar al-Assad. "It is not known how many people remain trapped in places where fighting continues today," said Valerie Amos, UN Under-Secretary-General for Humanitarian Affairs. The office of the UN High Commissioner for Refugees said that exit routes out of war-torn Aleppo are increasingly dangerous due to roadblocks and armed gangs. Shelling has been reported in other parts of Syria, according to Babacar Gaye, the head of the UN Supervision Mission in Syria. 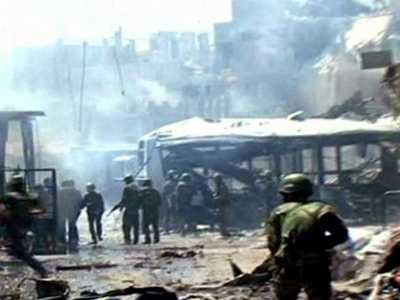 Gaye said he witnessed serious damage from shelling and fighting in the nearby town of Rastan, adding that he had personally seen heavy shelling in the city of Homs. On Sunday, Gaye’s convoy was attacked by government tanks, but no one was hurt, UN Secretary General Ban Ki-moon told reporters on Monday. Ashraf El-Bayoumi, a political analyst at Alexandria University, said the Syrian government is reluctant to attack contested areas before civilians have a chance to leave them. RT’s Oksana Boyko, reporting from Damascus, says that many of those who die fighting for or against President Assad across Syria are in their late teens or early twenties. “We founded this cell to support the young fighters and to feel their pain and to experience what they are experiencing on the ground and to help with the operations,” says 23-year-old Omar from a group of FSA snipers operating in a deserted town 40 kilometers south-west of Homs. Twice a day the group goes out to shell a nearby Syrian army checkpoint. Omar has left his family in Dubai to join the uprising. On the other side of the barricades, there are fighters who are not much older and are also ready to die. “No, I'm not afraid to die. I would be honored to be in the place of my fallen comrades and to become a martyr defending my country. It's every man's duty,” says 19-year-old Subhi, a conscript in Assad’s army, who is tasked with putting bodies into coffins. Martyrdom is glorified in Muslim countries and many young soldiers profess their readiness to die for their cause. For more on the story watch RT’s Oksana Boyko’s report.